Taoism is a traditional Chinese form of thought and religion. It is based on several central notions, cults, and practices, but has never subject to systematization as a whole. While it integrates many elements from other Chinese traditionsphilosophical schools, popular religion, and self-cultivation practices, to mention only the main examplesit frequently emphasizes its distinction from them. These basic features underlie different formulations of doctrinal notions, and a large variety of practices ranging from self-cultivation to communal rituals. The foundational text of Taoism is the ☞ Daode jing (Book of the Way and its Virtue), a short work consisting of aphorisms attributed to Laozi (the Old Master, or Old Child; ☞ pictures). All movements and lineages within Taoism consider this as the founding scripture of the entire tradition, even though they may venerate their own texts and their own founders. Another early work, the Zhuangzi (Book of Master Zhuang Zhou), has provided Taoism with doctrines, notions, and technical vocabulary throughout its history. Despite differences in emphasis, the two texts present the same view of the Dao and its relation to the world. The word dao has two main meanings: "way" and "method." The early Taoist texts are the first ones to use this word to mean the absolute principle that generates the "ten thousand things." The Dao is said to have no name and to be beyond definition or description: the word dao itself is used only because one "is forced" to refer to it. The Dao is unknowable, has no form, and is "constant" (i.e., it does not undergo change); it is "invisible, inaudible, and imperceptible," and it is "indistinct and vague" (huanghu). Yet the Dao contains an "essence" (jing) that is the seed of the world of multiplicity. Under this second aspectwhich can be distinguished from the previous one only from the perspective of the relative world in which we livethe Dao is the "beginning" of the world, and its "mother." The person who "returns to the Dao" is called in the Daode jing the shengren, a term that with regard to Taoism may be translated as "saint" to distinguish him from the Confucian "sage." As the highest realized human being who has achieved liberation in life, the Taoist saint has transcended the limitations of individuality and form. In the human world, the Taoist saint practices "non-doing" (wuwei) simply by responding to events and phenomena; "he makes it possible for the ten thousand things to function, but does not start them." (Book of the Way and Its Virtue). To a significant extent, the history of Taoism may be seen as a continuous restatement of the principles enunciated in the early founding texts. To an equally significant extent, its development has been marked by adaptation to varying historical circumstances, response to the needs and demands of different social groups, and incorporation of concepts, beliefs, cults, and practices derived from other trends of Chinese thought, religion, and culture. At the beginning of this process is the ☞ deification of Laozi, now represented not only as the sage who expounds the doctrines of the Daode jing, but also as a messiah named Lord Lao (Laojun), who embodies the Dao and reappears at different times either as a sage counselor of political rulers, or as the inspirer of religious leaders. In one of these transformations, Lord Lao appeared (in 142 CE, according to the traditional date) to Zhang Daoling, in the southwestern region of Sichuan. Lord Lao established a covenant (meng) with Zhang Daoling, revealing the teaching of Orthodox Unity (zhengyi) and granting him the title of Celestial Master (tianshi). This revelation is at the origin of the ☞ Way of the Celestial Masters (Tianshi dao), the main Taoist priestly lineage, which continues to exist in the present day. The diaspora of the Celestial Masters' communities after the end of the Han (early 3rd century) resulted in the expansion of the new religion to other parts of China. Its spread in Jiangnan, the region south of the lower Yangzi River, was one of the prerequisites for the formation of two other major bodies of Taoist doctrines, texts, and practices in the second half of the 4th century. The first corpus, known as ☞ Shangqing (Highest Clarity), derived from revelations that occurred from 364 to 370 and was centered on meditation practices. 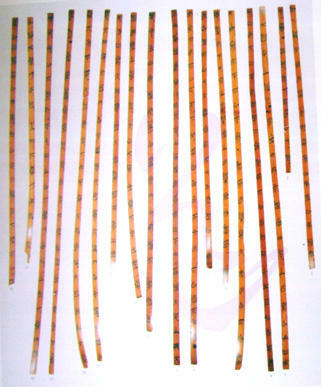 The second corpus, known as ☞ Lingbao (Numinous Treasure), derived from revelations that occurred between ca. 395 and 405 and was based on communal ritual. These two codifications clearly define, for the first time, the two main poles of Taoism as a whole, namely individual practices of self-cultivation on the one hand, and collective practices for the community of the faithful or for the dead, on the other. The relations among these and other traditions were formally codified in the early 5th century in the system of the Three Caverns (sandong). Its purpose was to arrange hierarchically the main Taoist legacies of that time, assigning the higher rank to Shangqing, the intermediate one to Lingbao, and the lower one to other local traditions of Jiangnan. Around 500 CE, the corpora associated with the Daode jing, the Taiping jing (Scripture of Great Peace), alchemy, and the Way of the Celestial Masters were also incorporated into this system, by assigning them to the so-called Four Supplements (sifu). The Three Caverns also provided the formal schema for other important aspects of Taoist doctrine and practice, including the ordination stages of Taoist priests and the arrangement of scriptural and other writings in the collections of Taoist texts (☞ Daozang) that began to take shape from the early 5th century. This model continued to perform its function even after the contours of Taoist religion were reshaped by several new revelations and codifications that occurred during the Song period (960-1279) and later, and by the creation in the early 13th century of ☞ Quanzhen (Complete Reality, or Complete Perfection), a monastic order that is, with the Way of the Celestial Masters, the main branch of present-day Taoism. 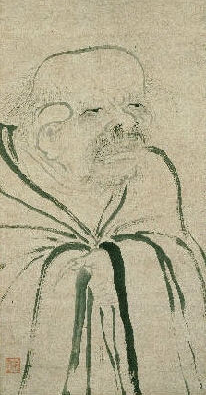 Picture of Laozi reproduced from Stephen Little, Taoism and the Arts of China (Chicago: The Art Institute of Chicago, 2000). Written in the 11th century, this major work describes Neidan (Internal Alchemy) in poetry. Includes a complete translation of the 14th-century commentary by Wang Jie.